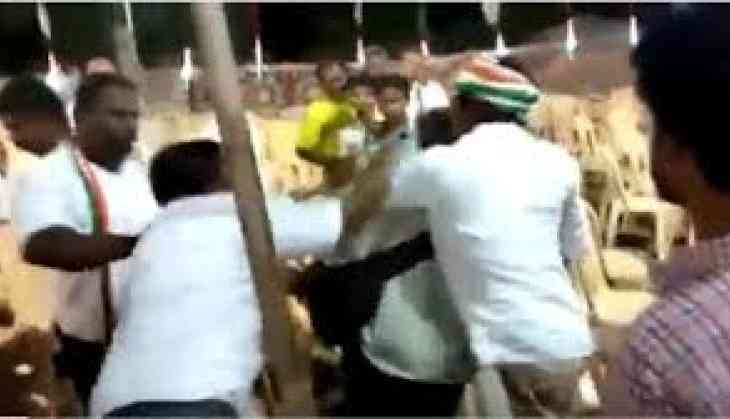 Congress workers allegedly manhandled and thrashed photojournalists who were clicking pictures of empty chairs at a public rally by the party in Virudhunagar on Saturday. The Congress party had organised a public campaign to explain the party manifesto to the people. The incident took place when state Congress president KS Alagiri was leading the public meet while a few photojournalists allegedly attempted to click photos of empty chairs. Enraged with the lensmen, a few congress party workers misbehaved with photojournalists and began to thrash them. Lok Sabha elections and assembly bypolls would be held in Tamil Nadu on April 18 in the second phase of the seven-phased elections. Counting of votes will take place on May 23.